India now has its own T. K. Jones, although we may never know the name of the actual person in the Jammu and Kashmir Civil Defence and State Disaster Response Force who wrote an advisory on what to do in the event of a nuclear attack that was published in the Greater Kashmir newspaper this week. T. K. Jones played only a small part in the civil defense cottage industry that churned out bucketloads (or should I say shovelsful) of misinformation and false assurances beginning in the 1950s. 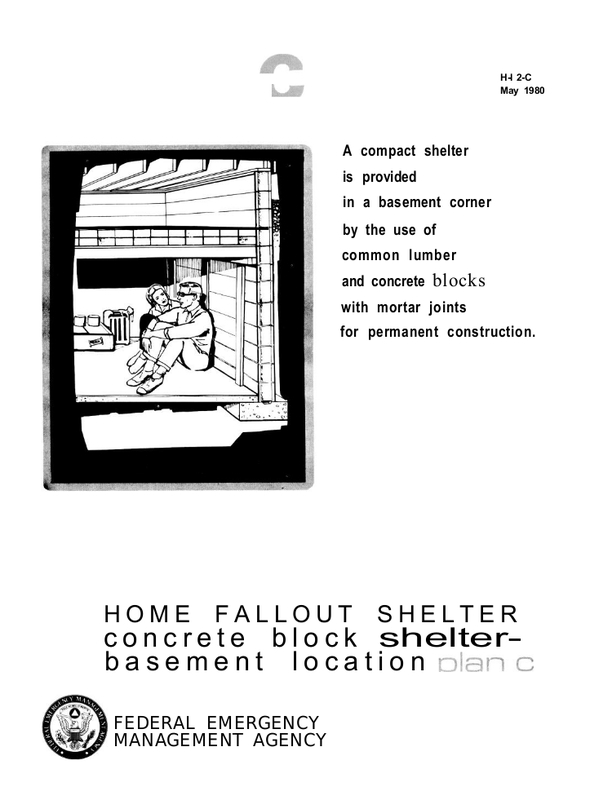 Fallout shelter designs and supplies, Geiger counters, and air raid drills were part of the common experience of growing up for an entire generation or three. A series of “educational” films offered instructions on how to behave in the event of a nuclear attack. 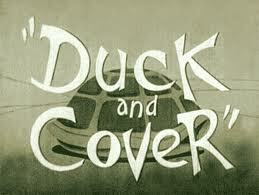 The most iconic and ridiculous of these was Duck and Cover, with Bert the Turtle, which did little more than create a generation with persistent neck and back problems. You can watch it on YouTube. “Stay down after the initial shock wave,” the advisory continues, “wait for the winds to die down and debris to stop falling. If blast wave does not arrive within five seconds of the flash you were far enough from the ground zero and initial radiation exposure will not exceed 150 rads.” If the blast wave does arrive within five seconds…well, at least you’re lying down. I trust Arun Mitra’s judgment about this—that it’s much ado about nothing—and yet the echoes of the US in the 1950s make me wonder if possession of nuclear weapons causes not only delusions of grandeur, but also a pre-packaged set of hallucinations. 1. Robert Scheer. With enough shovels: Reagan, Bush and nuclear war. New York: Random House. 1983. 2. Jennifer Leaning, Langley Carleton Keyes. The counterfeit ark: crisis relocation for nuclear war. Cambridge, Mass: Ballinger. 1984. ← IPPNW to President Obama: Stop subcritical nuclear tests!